Honestly...why would you give your family memories to someone else to create? In the last month, I've created some lovely ones. And saved a motza to boot! 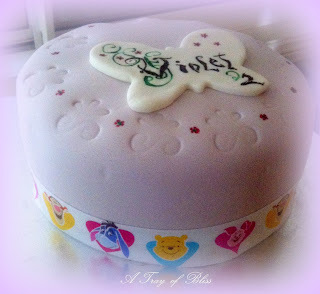 Just this last weekend, I wrestled a virtual carpet of fondant onto a cake for a special someone. Someone elses Nanna wanted $650 for this cake. Well, hers had fondant Winnie the Pooh and Friends on top, but I can do that too..with a bit more notice! Little plastic figurines were substituted this time around, but the rest of the work was all mine. 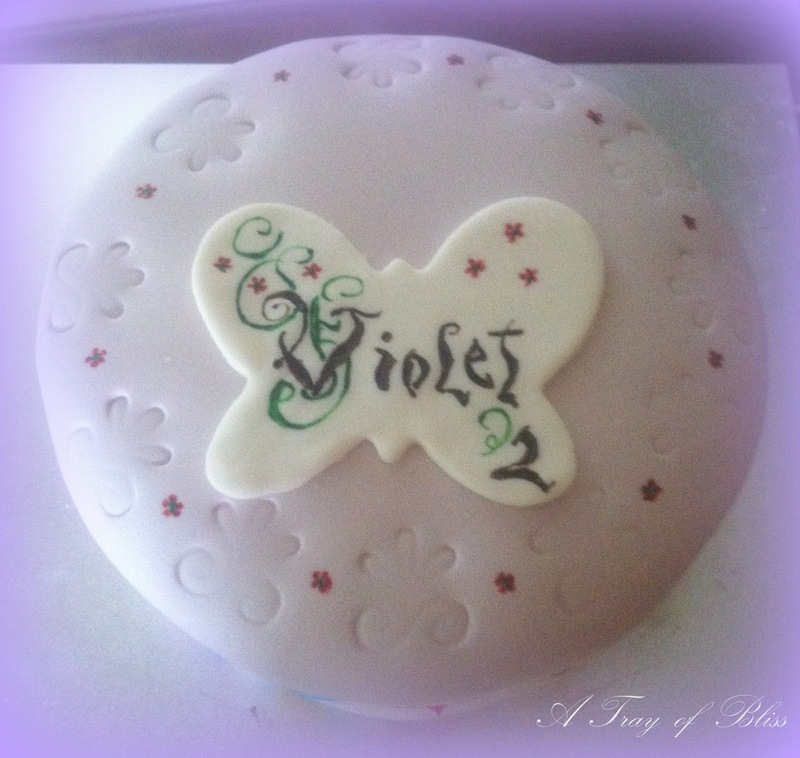 Do you like my freehand fancy Parchment writing? And that impressed design is done using a cake stamping thingy. You're meant to fill the indentations with piped icing, but the Pinterest trends say otherwise. 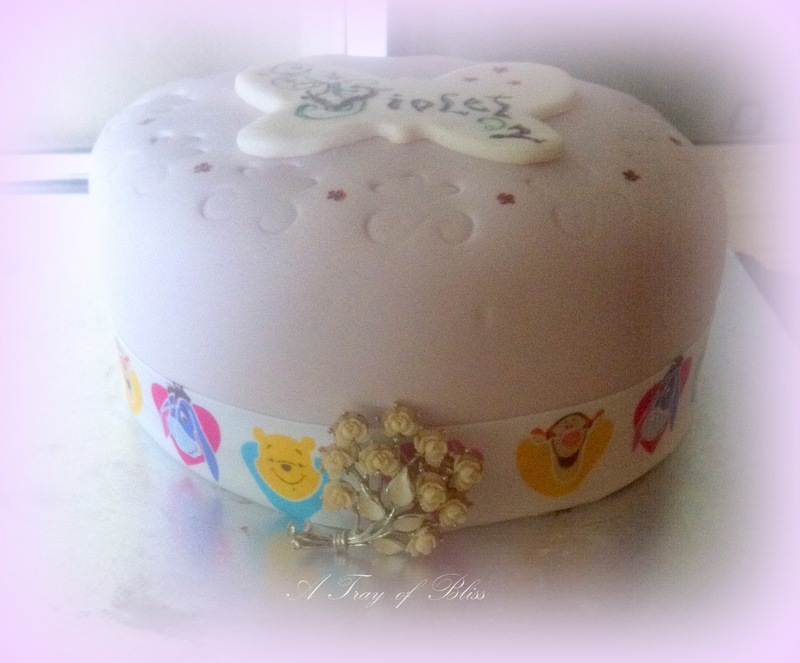 A strip of Winnie the Pooh fabric pressed neatly into shape substituted for ribbon with Poohs face which I was unable to source. A bit of lateral thinking folks! And each of these special someones, had a brooch belonging to Great Grandma affixed to their second birthday cake, so this one had one too. 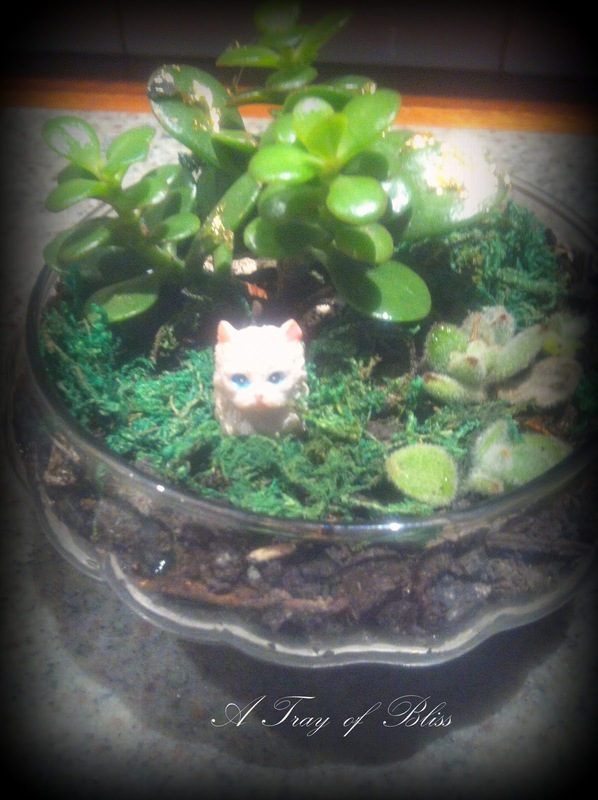 The Diva and I insourced a succulent garden in a bowl for a friends birthday. Having viewed one not nearly as pretty for $65, we had no angst in gifting DIY! Likewise we enjoyed a Mango Strawberry Acai bowl at a nearby fruiterers café`, and loved it. $13 each seemed a little steep though, so we've since made our own. 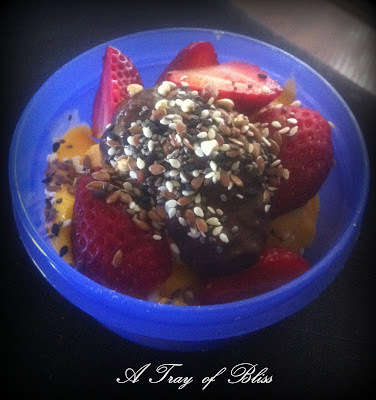 That's not chocolate friends, it's Acai and banana puree`. Very yummy. 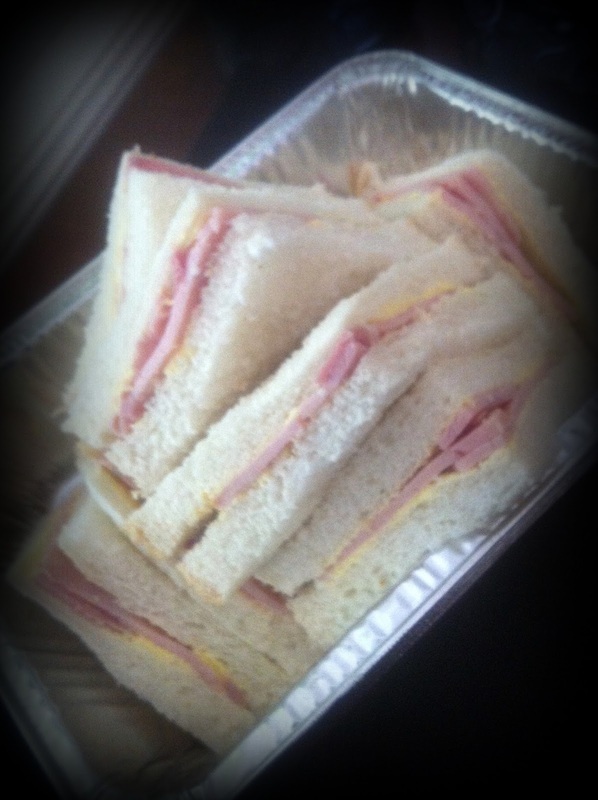 We've been having a home made one every day, at massive savings. I found this vintage Californian jam tin label at the local Thrift store. Hung it on twine in my kitchen. Love. 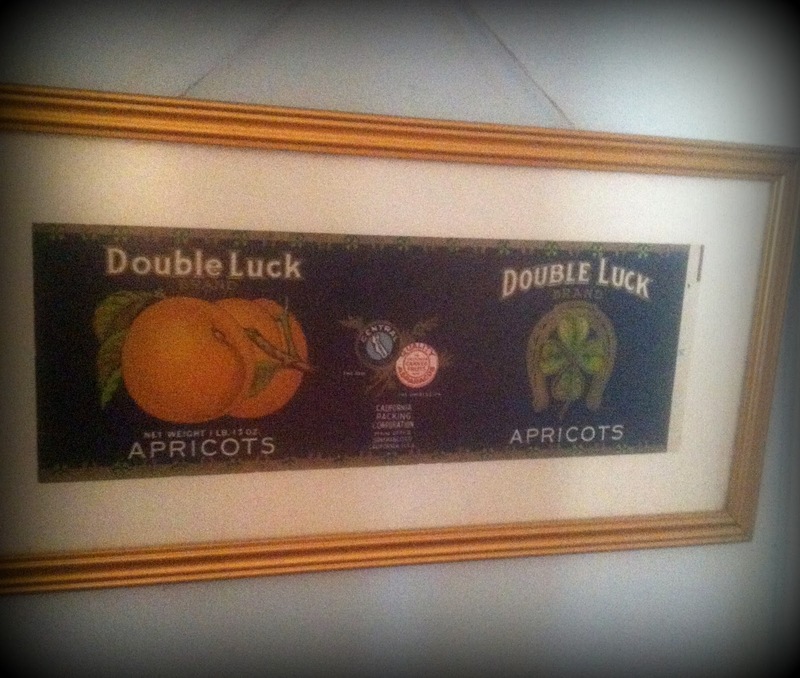 I wish I'd kept some old IXL Plum Jam labels from my childhood, but who thinks of it when they're 5 years old?? $12 gave me my dose of nostalgia. 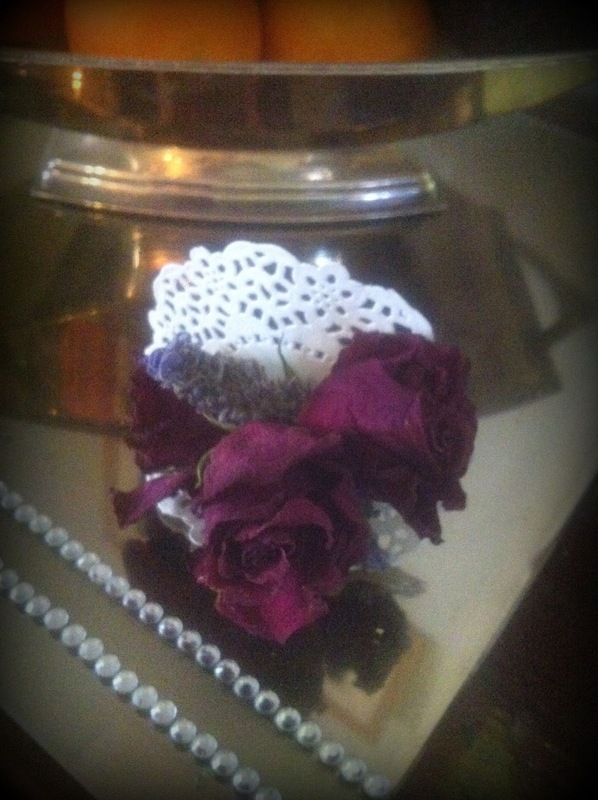 I made Victorian posies for the girls that dance with The Diva. Little dried red roses, dried lavender, wired into a miniature bouquet and framed with tiny paper doilies. They were prettier than the photo, and welcomed by all. Saving $10 a piece on other end of year gifts. When there's 15 'friends', that's a lot of saving. I completed my trio of Pyrex mixing bowls. I'd had the biggest one for yonks but hadn't found the two inner ones. I snaffled them on eBay for $10. Thankyou to the nice lady in Gympie. My eye for symmetry is now satisfied. 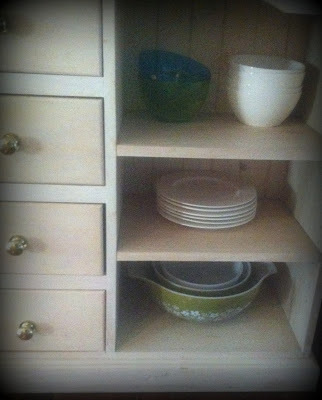 Similarly I found those retro coloured clear acrylic bowls at the top, to round out the display. 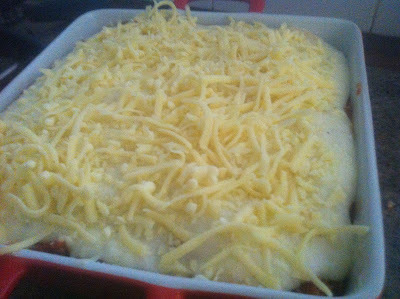 Same shape as my white ones, but in a complimentary colour to the Pyrex. I love a good sideboard display, don't you? Especially when it's useful too. I made a gluten free lasagna. 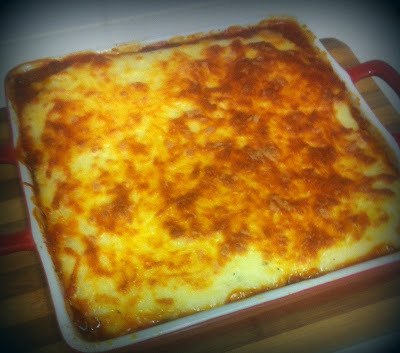 We detest the gluten free pasta on offer, so I make gluten free crepes and use them in place of lasagna sheets. Leave the sugar out of the batter though, or it's all wrong. Looks and tastes the same, I promise. 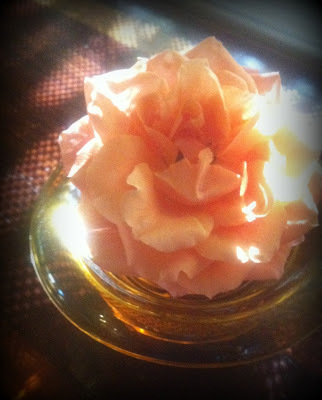 I grew a rose. I know. Unbelievable. Flushed with success, I've planted three more. A Just Joey, a Red Intuition, and a baby pink Floribunda Bonica rose. Faux Fuschia (see her fabulous blog on the right) says that you really can grow roses around here. I'm testing her theory. I've saved space for a Duchesse de Brabant. I read on another blog that they even grow near the ocean. Goodness! I've persuaded the Musician Husband to plant Hydrangeas too. They're going great guns. I'm turning into my Nanna I swear. Somebody admired my May Gibbs Gumnut Babies spice jars. They've been there so long that I don't think about how pretty they are. I use them every single day. Aren't they sweet? There's 24 of them. all with a different picture. They were an investment back in 1997. They came two a month for ages. $79.95 each pair. 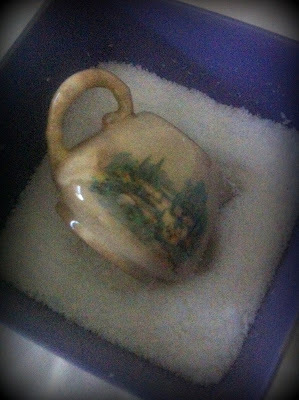 An heirloom in the making. I know people knock The Bradford Exchange, and those dolls they do are downright creepy, but who could go past a Gumnut Baby Spice Jar collection? 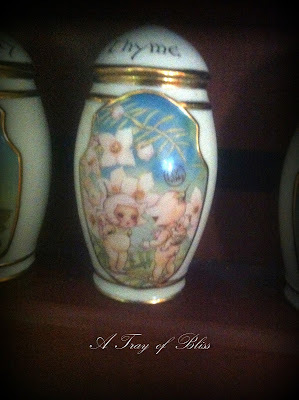 I thought I wanted Wedgewood ones, but these are so much sweeter. Just right for a Nanna like me. 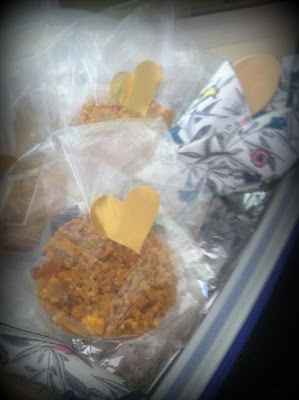 ...and individually wrapped Apple Crumble Pies in cellophane bags with gold hearts affixed. 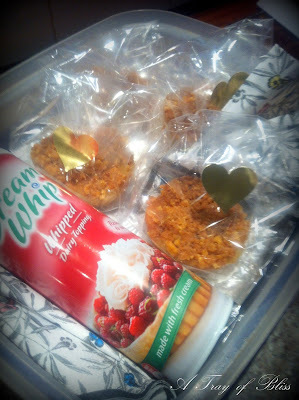 And airy whipped cream too, of course. 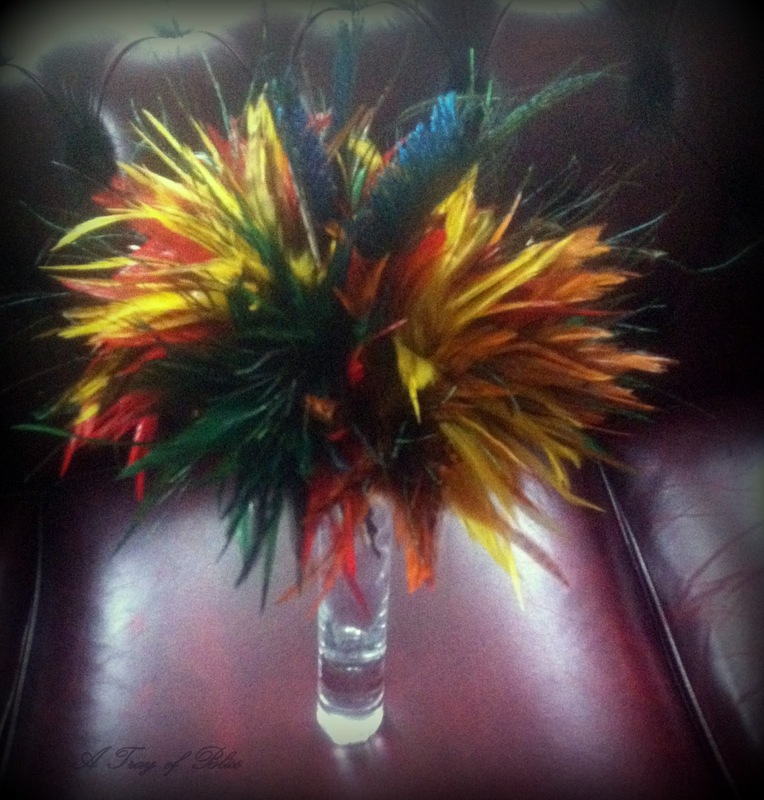 I fashioned a bold feather posy for another Dance Teacher who is a little more Avant Garde. We saw a similar one for $150. Sheesh. She liked it a lot. Posy or duster or both...her choice. A useful thing. 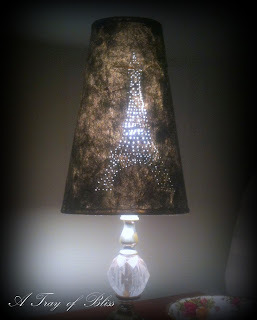 Another friend admired my Eiffel Tower Lamp which took me a whole week of poking with a needle to create. I'm glad I persevered. That saved me a couple of hundred dollars. 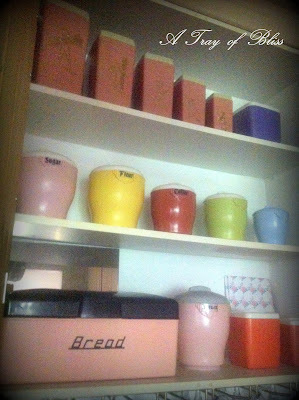 I finished a kitchen makeover and tidy up, rehoming every little thing in the pantry into vintage pastel canisters. I like it now. I don't feel like something deadly is going to fall on my head every time I open the doors. We were thinking of a kitchen reno at considerable cost...like tens of thousands. No more. All we needed was a declutter and tidy up. I can't decide whether to line the back with vintage mirror tiles (on left) or pretty vintage paper (on right). What do you think? If I had to include the kitchen reno in my calculations for savings over the last month or so, I've saved my family about $40,000. Don't look at me like that. It's true...lol! It just goes to show what a determined soul can do. If I worked outside the home, we'd be spending money left, right and centre. Long live the stay at home Domestic Manager, I say. What can you do to save your family money today? Mimi, I am in the bus on my way to the airport. 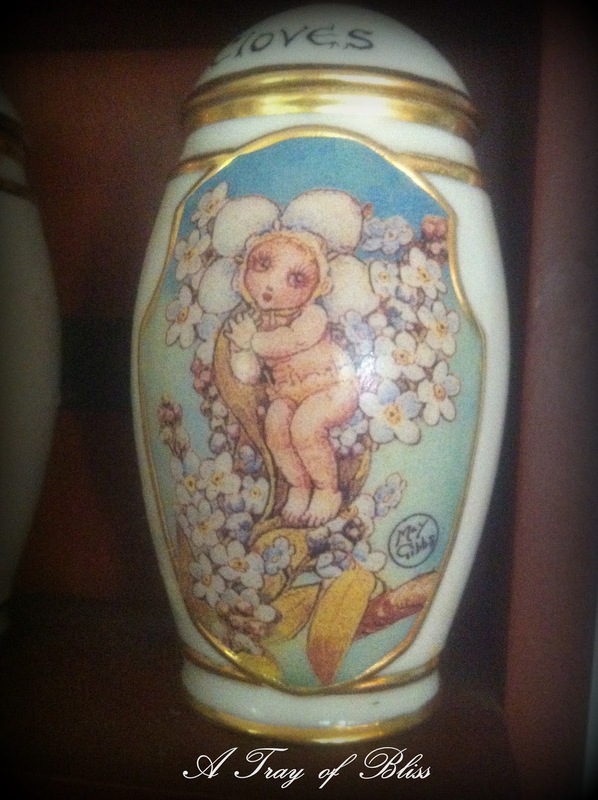 Your rose looks gorgeous and those gum nut baby spice jars bring back memories of my childhood. I love the books written by May Gibbs. Mimi it looks like you have your mojo back in spades - there is only 1 thing that I outsource due to health problems and that is my oven being cleaned - that happened this morning and it is now show room condition which makes me happy. I cannot imagine how much the wedding cake cost at the wedding we went to last month, it was not iced in any fancy way at all but I bet they paid a pretty penny for it. I am busy reorganising things here - we have started getting our items out of storage and I need to decide if we have keepers, garage sale items or op shop items. Now I could pay for someone to come in and do this for me but who knows better than me what category everything fits into? Again cannot imagine how much money I am saving just doing this job alone. My sewing machine is here now and I have a dress that needs mending again something that could be outsourced but why when I can do it myself? Just hope that after not being used for so long that it doesn't think it is still on holiday. Wow, you have been quite busy! Thank you for sharing your delightful DIY home inspiration with us! What a resourceful week you have had! You are quite the busy and creative lady, and saving $$ at the same time, marvelous! I love your pantry with all the pastel canisters. It is wonderful to have everything matching, and in its own place! Enjoyed hearing about your resourceful week. I made homemade taco seasoning, and used dried chili peppers that were given to me, and ground them myself, and then made the taco seasoning. I also made homemade bread and three pies, crust and all from scratch... feels great to be saving the family $$! Have a great day! Lovely pictures and story as well Mimi. $650 for a cake! Holy moley. Yours looks beautiful. I think there is some kind of weird scam where we have all been conned into we cant do this or that. And there is some truth in it we cannot do everything. I cannot for instance fix a car. So some things we do have to pay for... or hope to have a family member able. But seriously so many things we CAN do and the savings are incredible. If I think something is a royal pain I check out how much it would be to get someone to do it. Someone I know paid $300 to have their windows cleaned! This made my couple of hours window cleaning on Saturday feel pretty good! I earned $150 an hour apparently! You are so clever with the ways that share on how to save and make things yourself! Thanks for sharing these ideas with us at Cooking and Crafting with J & J.